The Cerrado stretches across the heart of Brazil, linking four of the five Brazilian biomes1. It is the largest, most biologically diverse savannah region of South America, a key fresh water reservoir for much of Brazil, and home to five percent of all life on earth1. For example, it is home to nearly 12,000 species of endemic plants—more than the Amazon2! The region’s name, which means "closed" is a relic of Portuguese explorers and references its remote, impenetrable history2. Although little is known about the ecology of the Cerrado, as for much of Brazil, land clearing has not spared this landscape. Originally considered to be less capable of carbon storage, these forests and savannahs were cleared to spare the dense tropical Amazon forests, while continuing Brazil’s agri-pastoral industrialization. However, a largely overlooked secret of Cerrado’s endemic plant communities is that they store the majority of their carbon biomass in extensive underground root systems. The loss of these communities has resulted in ecological degradation, the spread of invasive species, a decrease in water quality, and the loss of an important carbon sink. The degree of ecosystem loss has raised concerns among many, from scientists to local rural residents and has lead to efforts to restore this system. 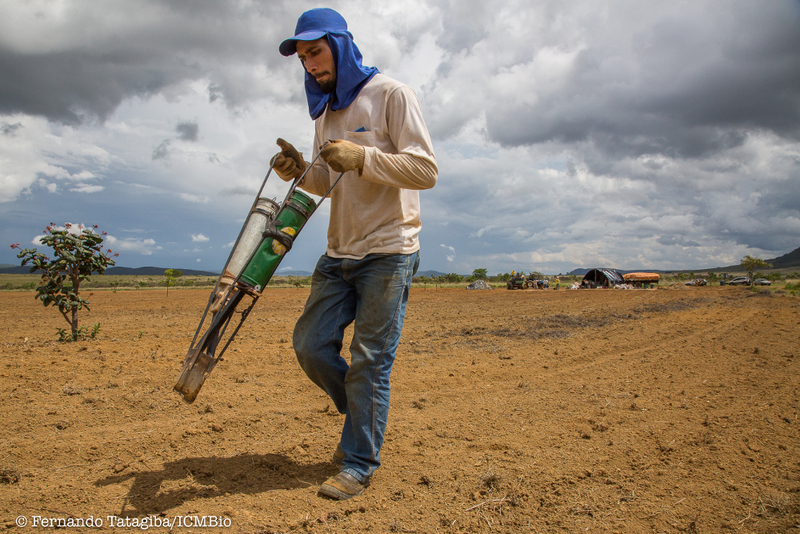 Efforts to restore the Cerrado include broadcasting seeds to add additional species to an established grassland. The Restaura Cerrado restoration project began in 2010, lead by Chico Mendes Institute for Biodiversity Conservation (ICMBio) on a 300 ha tract of the Chapada dos Veadeiros National Park. The project aim was to develop efficient techniques for restoring grasslands and savannas on abandoned grazing lands. Historically, these areas underwent almost complete loss of native vegetation and were replanted with exotic forage grasses, which still dominate most sites. These areas are largely neglected in Brazil’s restoration efforts. Of the few plant recovery efforts that took place, most were actually afforestation plantings, in which seedlings of forest tree species are planted in habitats where they would not occur naturally instead of reestablishing native plant communities. To change this approach and foster the return of the native plant communities, Restaura Cerrado set out to test a variety of methods for direct seeding native grasses, shrubs, and forbs – the propagation of which was previously unknown. Beginning with a single investment to serve as start-up capital, the group was able to leverage additional funds and catalyze research partnership between ICMBio, University of Brasília, Rede de Sementes do Cerrado (Cerrado Seeds Network) and Embrapa (Brazilian Agriculture and Animal Husbandry Research Enterprise). Complete clearing of exotic vegetation is one of the most effective methods to re-establish native plant communities in abandoned pasturelands of the Cerrado. In 2015, Norte Brasil Transmissora de Energia, a power line company, was seeking to fund a restoration project as an offset for forest suppression in other areas of Brazil. 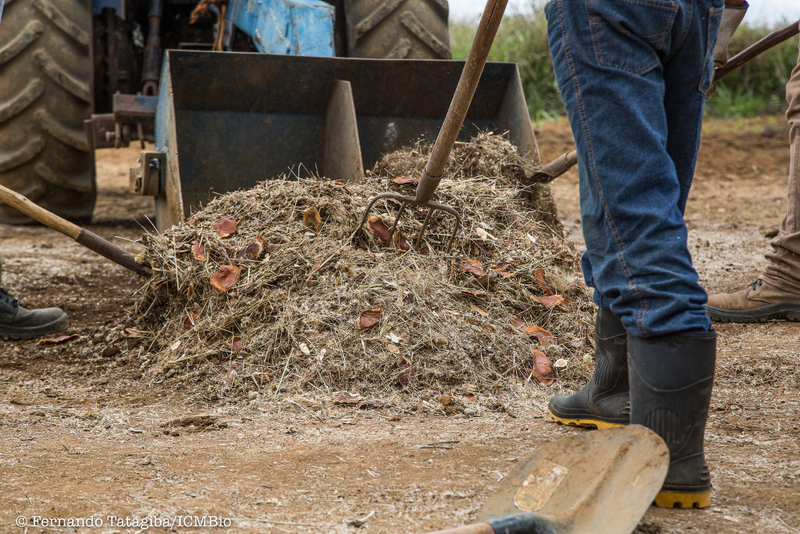 When they learned about Restaura Cerrado’s work, a pioneering partnership was born. The company was eager to use the techniques already developed at the Chapada dos Veadeiros National Park to tackle a large-scale restoration project that covered nearly 100 ha. Since its’ inception, Restaura Cerrado worked closely with the members of the community who had been actively engaged in all aspects of restoration process from seed harvesting to developing and implementing region-appropriate restoration techniques. The company employed more than 60 rural families living in municipalities surrounding Chapada dos Veadeiros National Park to undertake it’s restoration goals. During the two-year effort, the community harvested 18 tons of seed from 80 different species, valued at $60,000. Much of this revenue was transferred back into the local community – an important step for ensuring the sustainability of the Brazilian restoration efforts. This type of community reinvestment can result in positive down-stream effects. For example, the seed harvesters involved in this project, founded a cooperative named Cerrado de Pé (Standing Cerrado). Within a short time, this cooperative has become self-sustaining and now generates revenue to improve community livelihood by restoring the Cerrado ecosystem instead of clear-cutting new areas for crop production. Local community members carry out restoration. Here native plant seed is mixed with organic material and local topsoil before being broadcast. This technique has proven effective in promoting native plant re-establishment in the Cerrado region. Novel seeding techniques can be used to seed species with specialized handling and germination requirements. To date, Restaura Cerrado has developed techniques for seeding of 22 native species, including trees, shrubs, grasses, and forbs and is currently expanding efforts to target another 60 endemic species. The restoration methods developed by the Restaura Cerrado are inexpensive and center on tangible rehabilitation and invasive control targets (e.g. planting 1,600+ tree plugs per ha and controlling weeds around seedlings for two years). The overall goal is to reach a density of ca. 5,000 woody seedlings per ha and establish a continuous herbaceous understory providing up to 60% cover, while reducing invasive grass cover by 30%. The methodologies developed over the course of this project are widely applicable to other tracts of land in the greater region. For example, more than 70,000 ha within the protected areas of the Cerrado and 5000,000 ha of private lands still remain in dire need of restoration. Over its lifetime, Restaura Cerrado has produced scientific publications, reports, and technical guides. It has also supported the training and original research of several graduate and undergraduate students. By disseminating knowledge of the established seed collection and restoration techniques through training opportunities (an initiative funded through the “Critical Ecosystems Partnership Fund”), Restaura Cerrado serves as a foundation to foster restoration partnerships and knowledge sharing in the region. A strategic partnership with Rede de Sementes do Cerrado (Cerrado Seeds Network) has also played a major role in ensuring the profitability and transparency of the native seeds market; which is essential to ensure the success, sustainability, and longevity of the restoration efforts. However, there is still a long road ahead in reaching the restoration targets established by Brazilian government at the 2015 UNFCCC COP-21 (12 million ha restored by 2030). These goals can only be achieved with the continued financial support and active partner cooperation. Local community members and scientists work together to prepare native plant seed mixes on-site. 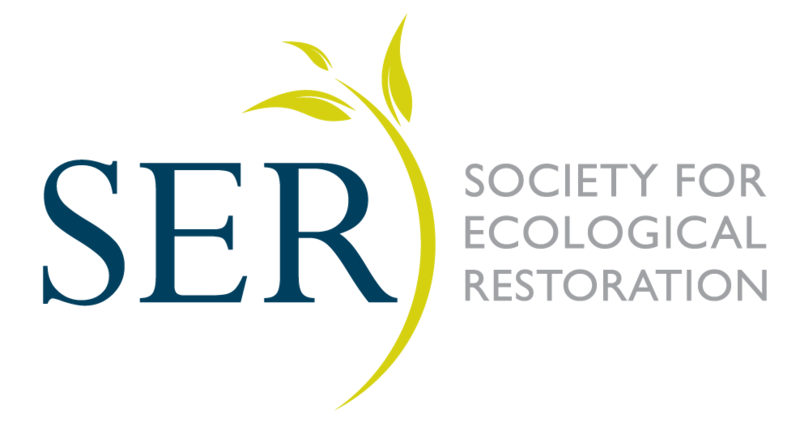 The efforts of Restaura Cerrado have been internationally recognized at the 2017 Society for Ecological Restoration Conference held in Foz do Iguaçu, Brazil, where they were awarded the top prize in SER’s Offsets Program. Please consider helping us continue to raise awareness this work. We would love to hear from you!